John G. Kuna, Psy.D. 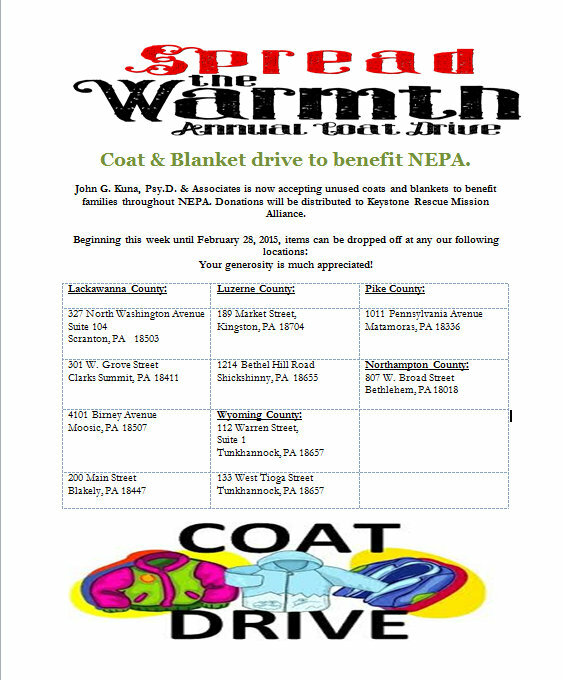 & Associates is now accepting unused coats and blankets to benefit families throughout NEPA. Donations will be distributed to Keystone Rescue Mission Alliance.